President Trump and President Xi Jinping of China participate in a bilateral meeting during the G20 Summit in Buenos Aires in December. 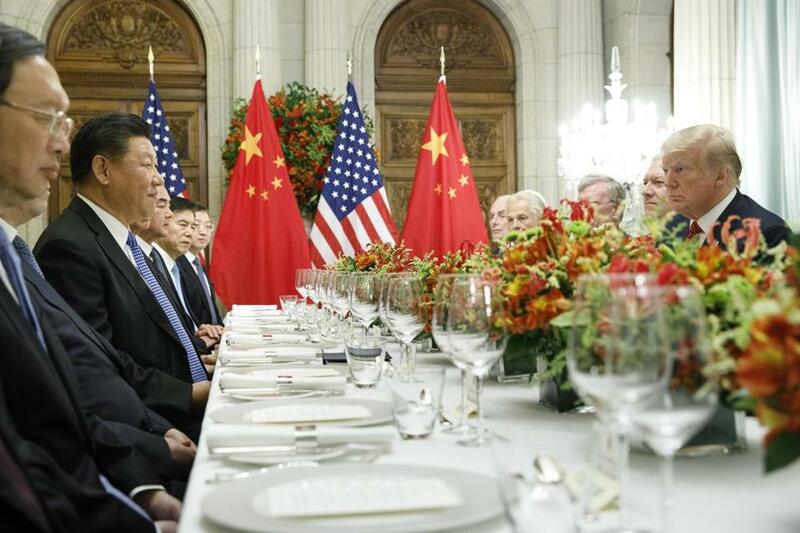 Are the United States and China heading for a new Cold War? And if they are, what should we call it? These may seem strange questions to ask just four days after President Trump appeared to raise hopes of an end to the trade war he started against China last year. On Thursday, Trump met with Vice Premier Liu He , whose thankless task it has been to lead the Chinese side in the past year’s trade negotiations. Liu must have been relieved by what the president had to say to reporters. “We never really had a trade deal with China, and now we’re going to have a great trade deal with China,” Trump declared. Well, maybe. It is certainly conventional wisdom in Washington that the president wants a trade deal with China. The gyrations of the US stock market in the final quarter of 2018 gave him a nasty fright, and such a deal is widely seen as a way to soothe the nerves of investors. On the other hand, last week’s surprisingly dovish decision by the Federal Reserve to postpone further interest rate hikes has already given Wall Street all the soothing it needed. And if you listened to US trade representative Robert Lighthizer last week — more important, if you compared what he wants and what Liu He offered — you were left wondering how a trade deal could possibly be within reach. Lighthizer is demanding radical changes in Chinese economic policy, including an end to the subsidies and other devices Beijing is using to accelerate its technological progress — the program known as “Made in China 2025.” Last week in Washington the Chinese offered . . . to purchase 5 million metric tons of soybeans. Lighthizer looked as if he’d just swallowed a bowlful. 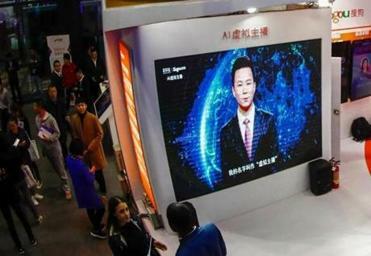 President Trump’s myopic trade war fails to grasp the challenge of Chinese AI ascendency. Amen. The lead tech war story last week was the indictment of the Chinese telecom equipment company Huawei, for stealing American technology and violating US sanctions. Coming soon: an executive order effectively banning American companies from using Chinese-origin equipment in critical networks. Meanwhile, the Trump administration is leaning hard on American allies (including Britain, Germany, and Poland) to ban Huawei from building their fifth generation (5G) networks. Australia and New Zealand have already done this. It’s not just the White House that is waging the tech war. Last year, as part of the National Defense Authorization Act, Congress passed the Export Control Reform Act and the Foreign Investment Risk Review Modernization Act, both designed to make it harder for Chinese companies to access US technology. A pending review of the Department of Commerce’s Commerce Control List will almost certainly impose new restrictions on US semiconductor exports to China too. Is anyone in Washington against this? Nope. One of the marvels of our age is the speed with which Trump’s once so deplorable Sinophobia has become a consensus position, with a formidable coalition of interests now on board the Bash Beijing bandwagon. They may still feel a bit squeamish about his tariffs, but suddenly every foreign policy wonk, national security nerd, and cyberwar punk agrees with the president: China is the new threat to America. It’s as if the entire policy community simultaneously woke up to the strategic implications of China’s technological advance. In other words, even if Trump does call off the trade war, the tech war will go on. Too many people are now invested in it. This will have big implications, not least for Silicon Valley. Do the tech companies now abandon their long-cherished dreams of breaking into the China market? Do they kick out all the Chinese PhDs they have employed for so long, just in case they’re actually spies? (Since July, the FBI has arrested two Chinese employees at Apple for suspected espionage.) And what about the universities? There were around 340,000 Chinese students in American colleges last year — nearly a third of all the foreign students in the United States. This was not an issue during the last Cold War, when only a tiny number of Soviet citizens were in the United States. In short, we can’t call this “Cold War 2.0.” The 40-year struggle between the United States and the Soviet Union was both ideological and thermonuclear. In terms of trade, the Soviets were inconsequential, in terms of technology they never got close. So what do we call this new geopolitical rivalry? Six years ago, my friend at Harvard Law School Noah Feldman suggested “Cool War.” It didn’t catch on, probably because there’s nothing remotely cool about Donald Trump. Back when China and America were the best of friends — or at least when their economic relationship seemed almost symbiotic — Moritz Schularick and I came up with the idea of “Chimerica,” which unlike the rival “G2” had the advantage of being a pun on the word “chimera,” signalling that we didn’t think it could last. Well, Chimerica now looks well and truly dead. But what is taking its place? Cold Wok? Sweet and Sour War? The hunt for a catch-phrase continues. Actually, I’m not sure why I bother. In the end, it too will probably be Made in China.